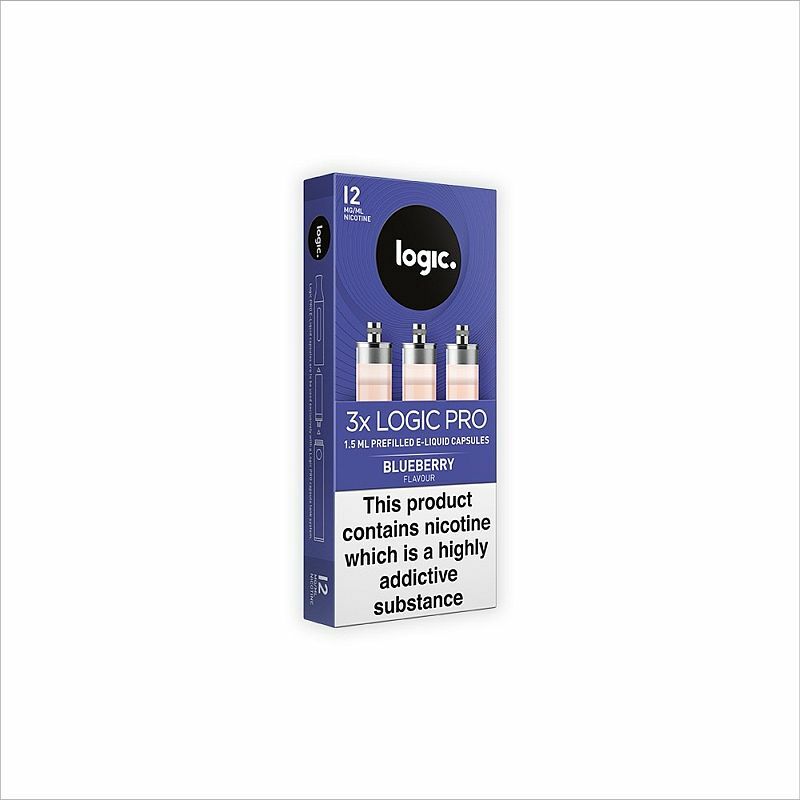 For use with the Logic PRO E-Cigarette, the Logic PRO Refill Capsules Blueberry 12mg pack a flavourful punch bursting with the taste of plump blueberries. Each pack contains three e-liquid refill capsules with 1.5ml of e-liquid, designed to be spill-free for pop-and-go vaping. This e-liquid is bursting with the flavour of plump blueberries. Sharp and fruity, these e-liquid capsules are perfect for the adventurous vaper looking for something bold and exciting.